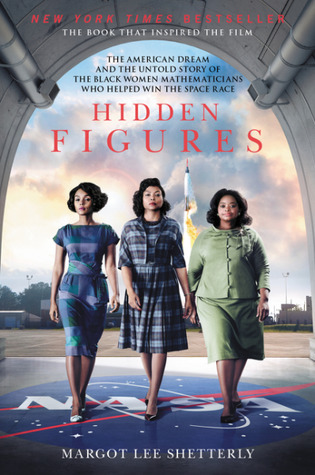 Recently released as a film adaptation, Hidden Figures is an inside look at the World War II–era black female mathematicians who assisted greatly in the United States’ aeronautics industry. Hidden Figures author Margot Lee Shetterly, herself the daughter of a black NASA engineer, has written a detailed account of the women who broke through race and gender barriers to become key factors in the U.S. space program’s success ... Most important to the heroines of Hidden Figures were assumptions about who could ask the right questions concerning aeronautic efficiencies and potential flightpaths, and who was best suited to translate those questions into mathematical equations others would solve ... Unfortunately, at times she seems unable to meld her material into a smoothly flowing storyline ... This hardworking, earnest book is the perfect foil for the glamour still to come. When we think of the aeronautical boom today, we speak instead of the astronauts, we conceive of gawky, brilliant, skinny white boys. This is no accident, but a continuation of the very injustice and erasure that Shetterly confronts and combats with her work ... Restoring the truth about the individuals who were at once black, women and astounding mathematicians, in a world that was constructed to stymie them at every step, is no easy task. Shetterly does it with the depth and detail of a skilled historian and the narrative aplomb of a masterful storyteller ... Shetterly traces the interweaving lives of these four women and their contemporaries, each as astounding as the next ... Shetterly is never heavy-handed, but always searingly honest, and it's refreshing and devastatingly frustrating that the injustices these women endured extended to their erasure from history. Margot Lee Shetterly's Hidden Figures is the story and celebration of the four dozen unsung black women who worked as computers, mathematicians, scientists, and engineers from 1943 to 1980 for the National Advisory Committee for Aeronautics (NACA) and its successor, the National Aeronautics and Space Administration (NASA) ...it is a historical homage to the fearlessness of mathematical minds too brilliant to be hindered by racism and sexism... Melfi’s much buzzed-about adaptation, on which Shetterly served as an executive producer, has inspired fans to seek out the book — which spans from World War II through the Cold War, the Civil Rights movement, and the Space Race... But readers must be forewarned: Shetterly references a lot of technical aeronautical terms and procedures. The jargon is there to better illustrate the work these women actually did, but some may find it pace-stalling. What did you think of Hidden Figures?